West Palm Beach, FL – December 6, 2018 – Equestrian Businesswomen (EQBW) is pleased to announce its partnership for the first annual EQBW Summit with Asmar Equestrian, the premiere equestrian lifestyle brand. Asmar Equestrian creates beautifully tailored clothing, fine leather goods and accessories that perform seamlessly in and out of the saddle and empower equestrian women to pursue their passions. The EQBW Summit will be held on January 9 in West Palm Beach, FL, and will provide thought-provoking and inspiring speakers talking about timely, relevant topics to help engage, support, and inform equestrian businesswomen. Asmar will be a part of the “Building a Successful Equestrian Business” panel, presented in partnership with the US Equestrian Annual Meeting during the Summit, which is one of five panels providing industry leaders talking about how they grew their successful businesses, balance work and life, use social media, the power of media, and have made a non-riding career in the equestrian industry. Asmar is married and a passionate mother to three children, two horses, and two dogs. She manages her growing group of companies, finds time to sit on a number of boards, and enjoys giving back to other passionate female entrepreneurs. Asmar is an active member of The International Spa Association as well as the Entrepreneurs Organization and sits on its Vancouver Chapter Board. To learn more about Equestrian Businesswomen and the Summit, please visit www.EqBusinesswomen.com and follow them on Facebook and Instagram. To find out more about Asmar Equestrian, visit them at www.AsmarEquestrian.com and like their Facebook, Instagram, Twitter, Pinterest, and YouTube pages. 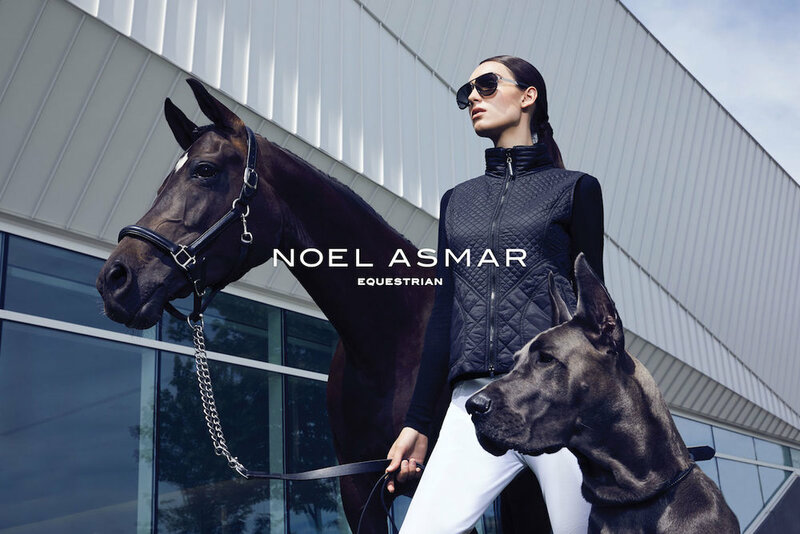 Since it was founded in 2011, Asmar Equestrian has become the premiere equestrian lifestyle brand. Their very first equestrian piece, the now iconic and award-winning All-Weather Rider, completely reimagined and elevated the standard for equestrian wear. With a line that now includes technical tops, show apparel, breeches and accessories, the brand is embraced by riders from all disciplines, riding levels and body types, who appreciate the beautiful tailoring and functional performance in and out of the saddle. Part of the highly successful Noel Asmar Group, which includes Noel Asmar Uniforms and Noel Asmar Pedicure Bowls, the brand has received worldwide acclaim from the likes of Vogue and Bazaar Magazine. In 2016 Asmar Equestrian was selected to outfit the Canadian Equestrian Team for the Summer Olympics in Rio and then again in 2018 for the World Equestrian Games in Tryon. Founder Noel Asmar has received numerous awards for her innovations and is consistently named one of Canada’s Top Female Entrepreneurs by Chatelaine. For more information, visitwww.asmarequestrian.com.